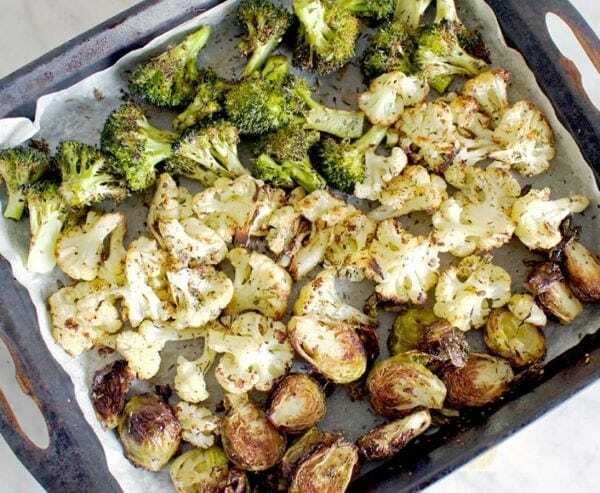 The line-up of detoxifying roasted vegetables in this quick healthy recipe is impressive and I’ve always believed that real food is the way forward instead of expensive juice cleanses. 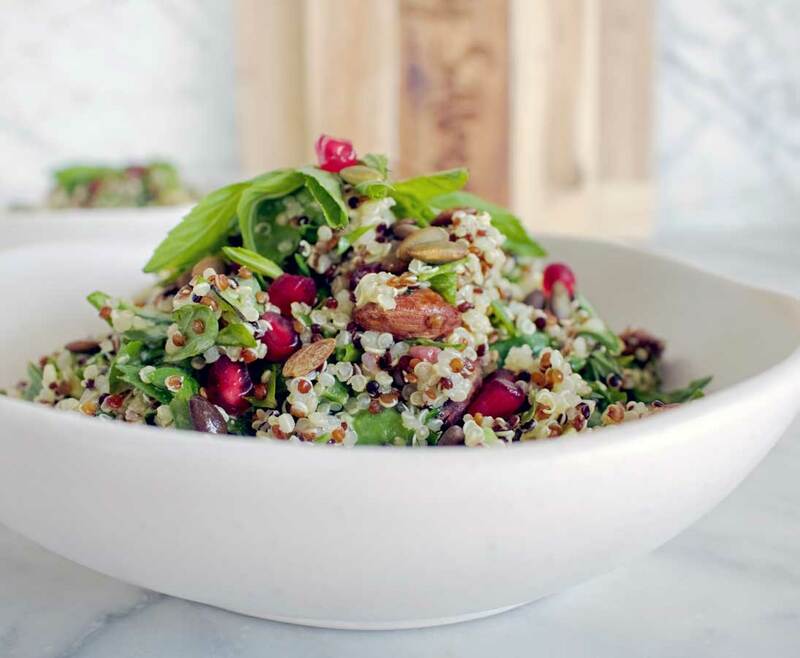 This quick healthy recipe contains specific nutrients that help to support the detoxification process in our body and is a great way to boost our intake of detoxifying veggies. 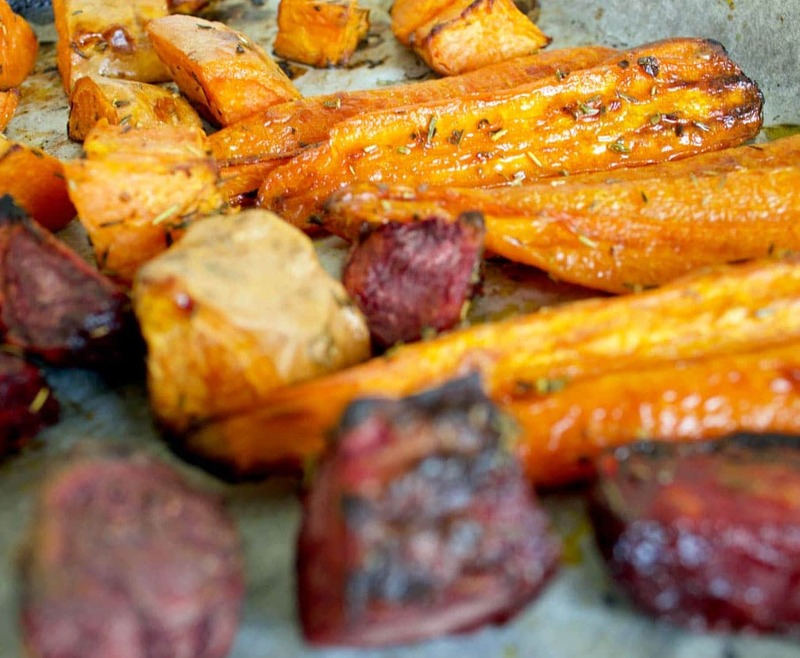 As important as vegetables are to the process, including a source of protein is an essential part of the detoxification process (and a good reason why lots of juice cleanses aren’t actually that helpful), so include a serve of protein with these roasted veggies. 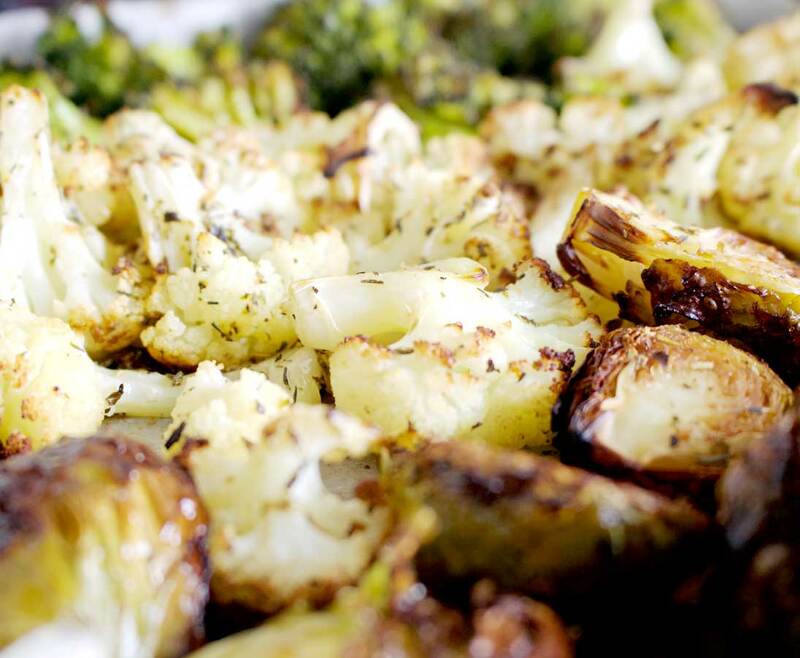 Broccoli, cauliflower and brussel sprouts all belong to the cruciferous family. 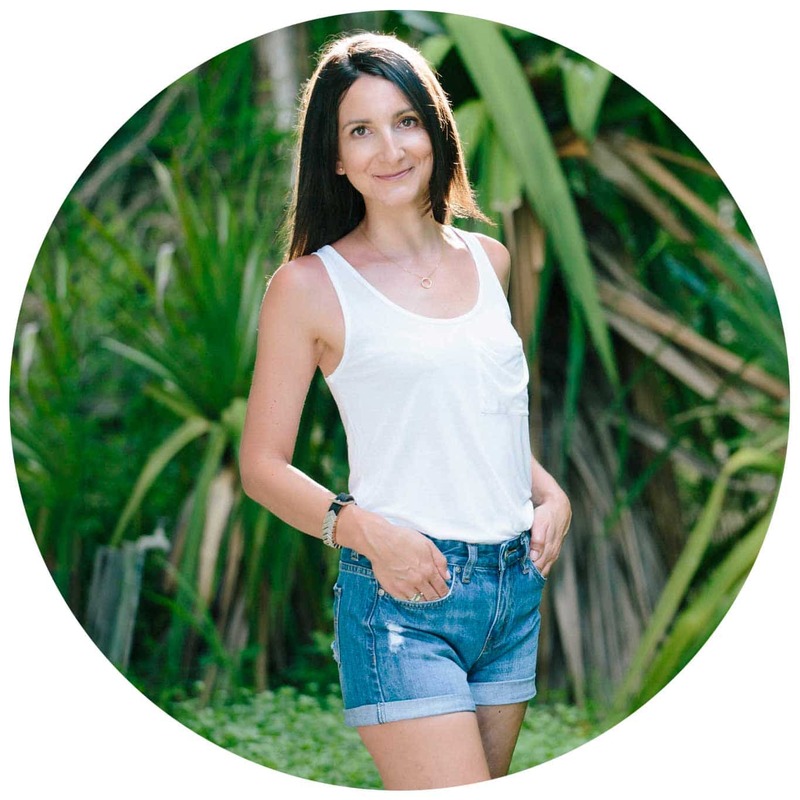 Cruciferous vegetables are an important part of both phase one and phase two of liver detoxification and other types of cruciferous veg include rocket, cabbage, bok choy, kale and collard greens. 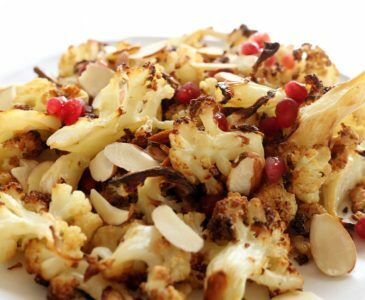 Detoxification is one of over 200 functions the liver is responsible for and whilst broccoli, cauliflower and brussel sprouts help to support that process, they are also rich in vitamins, minerals and antioxidants so make a perfect addition to any meal. 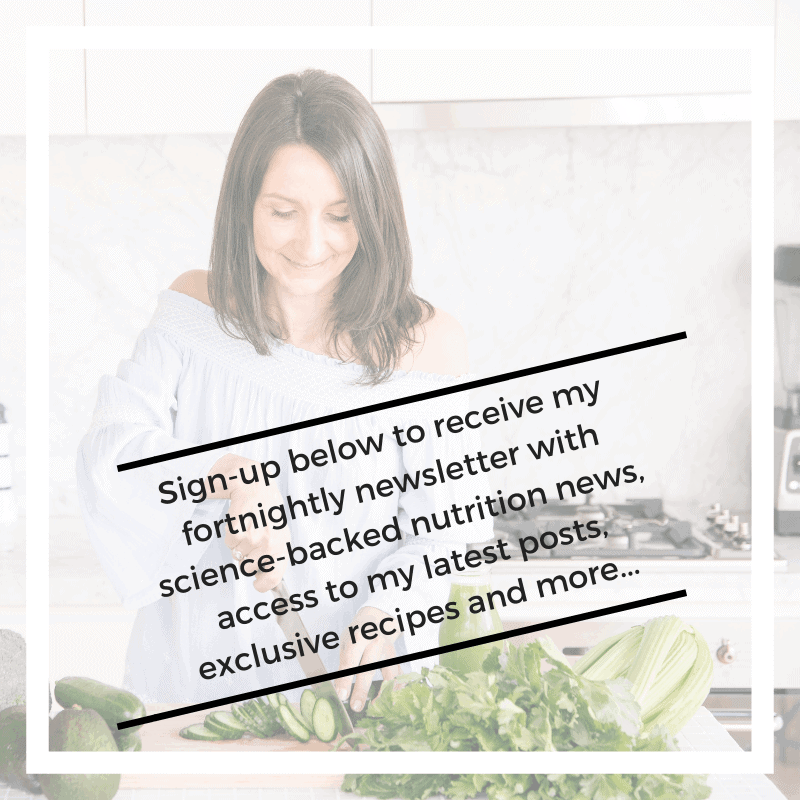 At least 50% of your daily recommended intake with one serve (my serves are big because you can never have too many veg or fibre!). Rich in minerals one serve contains 30% of your recommended intake of magnesium, 25% of recommended intake of calcium and 5mg of iron per serve (the RDI is 8mg for males and 18mg for females). Set oven heat to 200c. 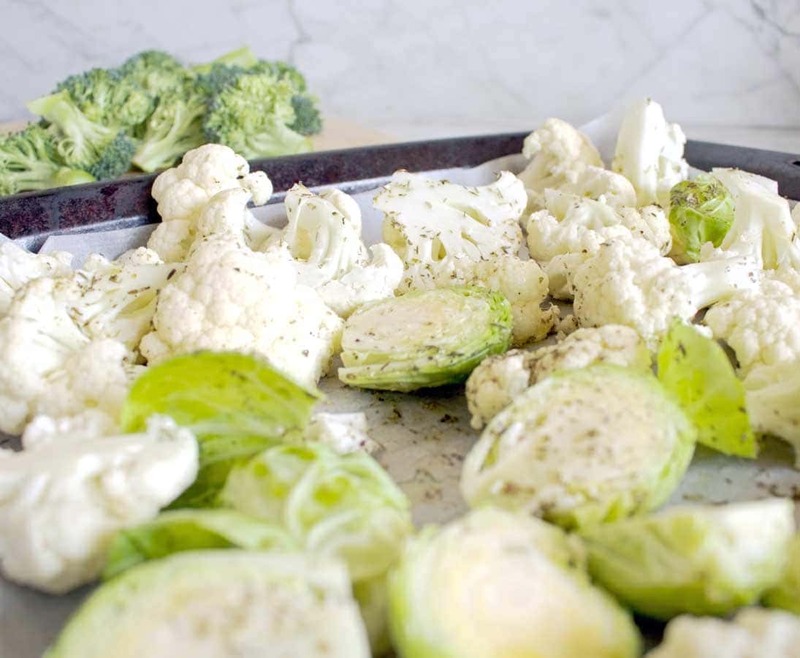 Place the brussel sprouts and cauliflower in a baking tray and add 2 tbsp of EVOO and mixed herbs and using hands, mix the brussel sprouts and cauliflower in the EVOO and herbs. 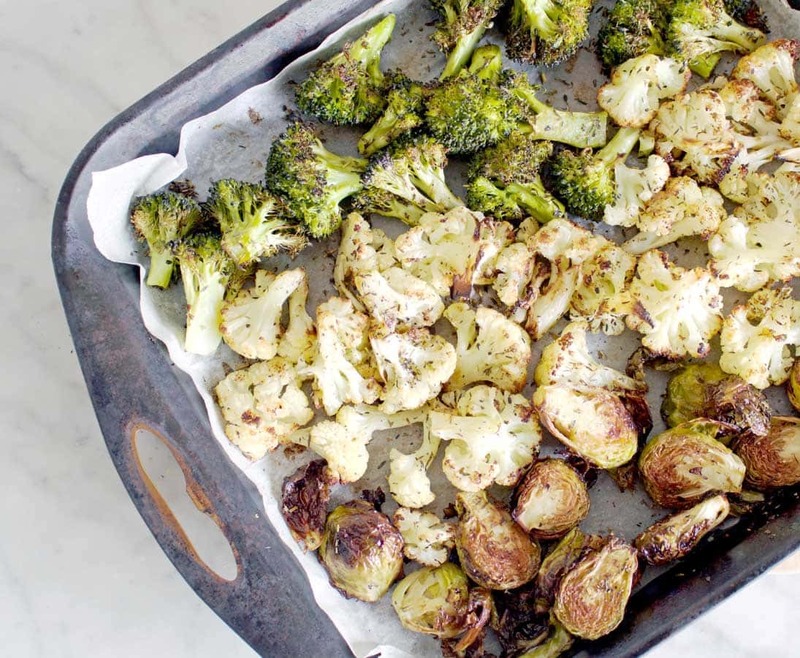 After 10 minutes add the broccoli and remaining EVOO (broccoli burns quite easily so don't add at the start). Roast for a further 15 minutes and turn veg occasionally. 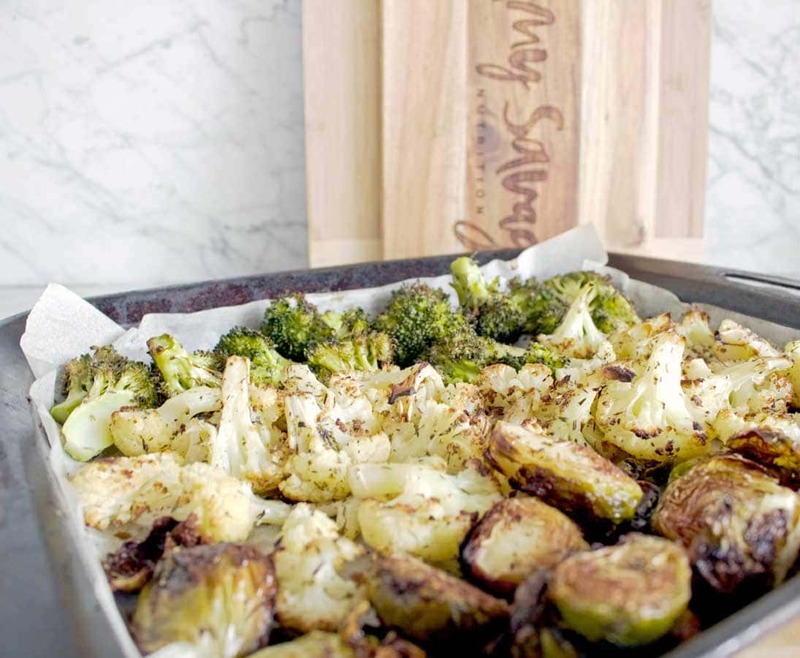 If your roasting pan has lost its non-stick, line with baking paper. Extra virgin olive oil - oils aisle (I always recommend Cobram Estate). If you like this recipe, you might like to try my Crispy Kale & Brussels Salad or Broccoli & Cauliflower Mash.